Patience is a virtud which rewards those who know how to wait. In the cigar world, two processes exemplify this perseverance and have time as a close ally: fermentation and ageing. The first of these stages is the fermentation of tobacco leaves. Once they have been collected and selected for each of the parts which form the cigar, we create a pile of 40 or 50 leaves. These have to be from the same class and characteristics to achieve an identical degree of smoothness and humidity. This homogeneity is essential as it will allow us to roll them without breaking. The stage of heating and moistening, as well as dehydrating the leaves, also smoothens its combustion properties. These piles, also known as gavillas, start then to ferment in the fermentation room, getting rid of chlorophyll and sap until they reach the optimum texture and consistency. To achieve the desired results is key to control room temperature as it naturally increases during this process. It is very important to check humidity levels and make sure that these stay between 65 and 70 degrees. To guarantee that every leaf will reach the same level of uniformity, we need to move the pile so that all leaves go through the centre where this process is more effective. The fermentation stage is partly responsible for the nuances, aromas and flavours which distinguish the cigar, as well as eliminating impurities from the leaves like the excess of nicotine, nitrogen and resin. Once this process ends, the dehydrated leaves are pressed and packed to prepare them for the aging stage which takes place in chambers specially designed for this purpose. 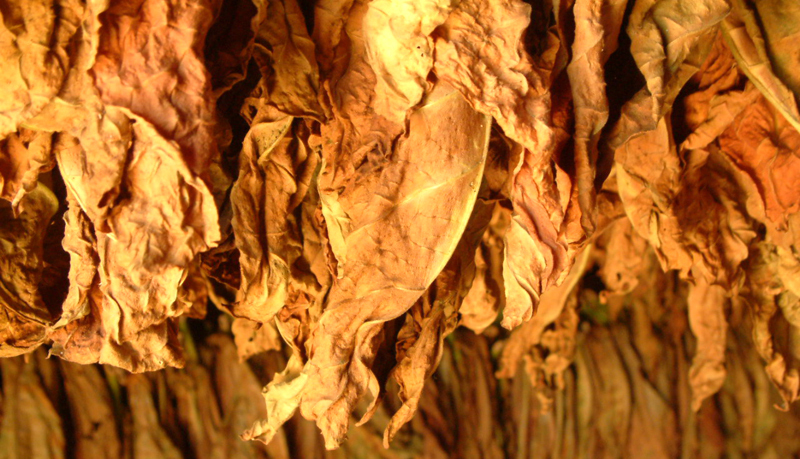 This phase can last various years during which the tobacco gains more intensity, body and complexity. The selected leaves used for KOLUMBUS’s cigars age in Spanish cedar chambers, a type of wood which as well as contributing positively to the final results of this complex process, is also the material responsible for the correct storage of the cigars.